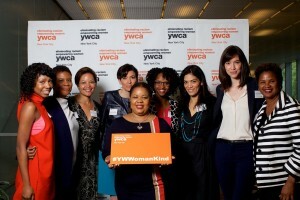 Danielle Moss Lee with YWCA event guests (L-R) Samantha Black, Alondra Nelson, Kim Keating, Jeanne Zaino, Britney Whaley, Lauren Gomez, Rachel Hoat and Renee M. Brown. A new movement that promotes cross-generational relationships and new opportunities for girls and women began in earnest on Monday, June 1, at the YWCA of the City of New York’s 21st Century Potential to Power Girls Symposium. 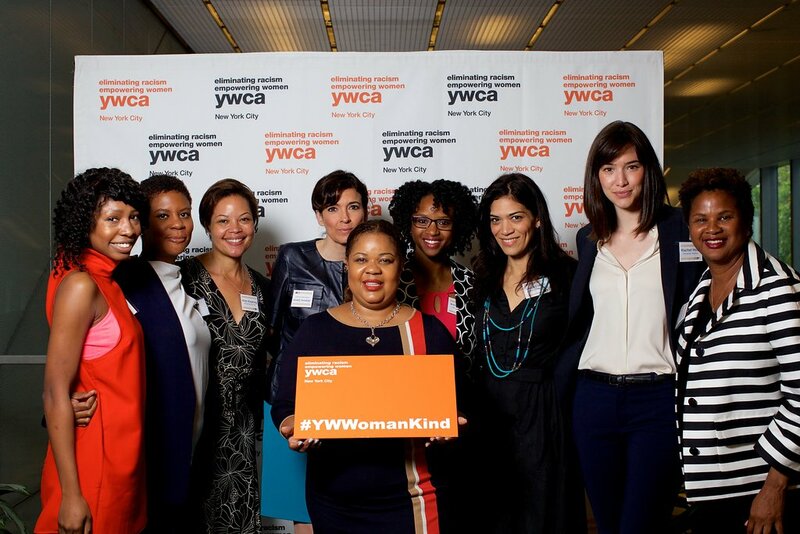 YWCA president Dr. Danielle Moss Lee kicked off the bold new campaign, officially christened as #YWWomanKind, at the annual event, held at John Jay College. Notables and dignitaries like Jessica Pimentel (Actress) and Vanessa De Luca (Editor-In-Chief at ESSENCE Magazine) were in attendance, along with 50 accomplished woman leaders from various industries and sectors. Through panel discussions, networking activities, seminars, and group dialogues the 200 high school girls in attendance took center stage. At the event, Dr. Moss Lee unveiled her enterprising new platform known as intergenerational generosity. It is described as both a philosophy and a way of living that fortifies alliances and authentic connections among girls and women, across cultures and age groups, while promoting a shared investment in the success, upliftment and support of each other. 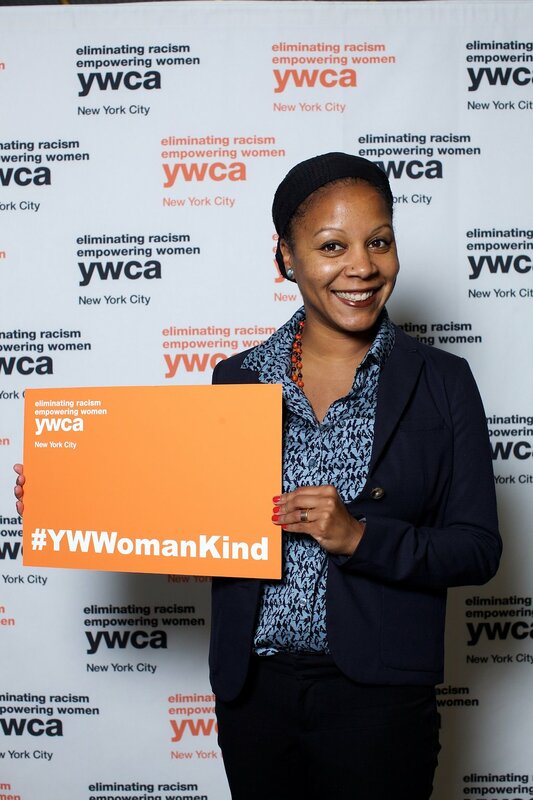 Dr. Lee was appointed to lead the YWCA of the City of New York in 2012, after more than 20 years of progressively influential roles in education and human services. Since heading the YWCA, she has expanded the organization’s offerings to girls and young women to include a range of robust STEM education, advocacy, and development programs. The focus on intergenerational generosity is rooted in Dr. Lee’s own experiences with women who took the time to inspire and motivate her. The three pillars of the #YWWomanKind campaign and intergenerational generosity include: equalizing opportunities for impact and success in the workplace for women, eliminating race-based privilege and eradicating bullying among girls by girls. According to research think tank Catalyst, disparities in the outcomes of and access to mentoring in the workplace between the sexes remain vast, and women of color in corporate environments still experience racial bias. Additionally, the toll of bullying remains intense among girls, with one in five either experiencing or participating in bullying a minimum of twice a month. Event attendees and others around the city, nation, and the world are sharing stories, photos, and videos about experiences with intergenerational generosity on social media using the hashtag #YWWomanKind. The YWCA of the City of New York was founded in 1858 to provide safe housing and educational resources for women. In its 157 years of operation, the organization has maintained its commitment to advancement and opportunity for girls and women through housing, job training and educational classes, while upholding its commitment to the elimination of racism and the empowerment of women. 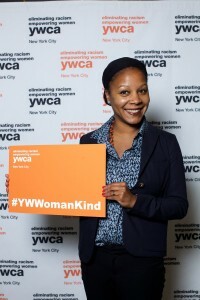 For more information, visit http://www.ywcanyc.org/.